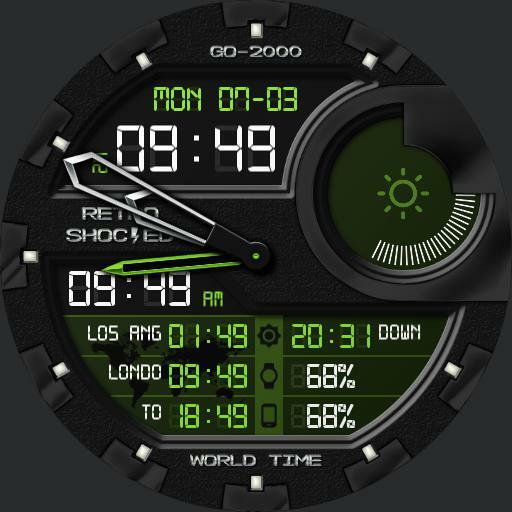 Traveling in style The GO-2000 World Time displays time in abundance. 12 hour, 24 hour, 3 additional time zones, analog, UTC, and more...all while keeping legibility the top priority. Additional Timezones can be edited from the WatchMaker in-app settings. Small hour hand is UTC 12HR. Tap big time to swap 24 hour mode. Tap seconds display to cycle ucolor options.